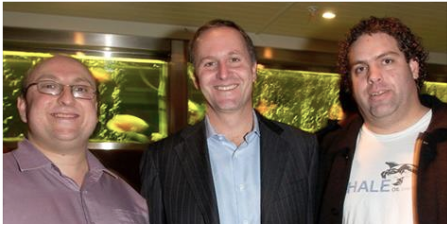 Some people have been shocked that the traditional right wing party in New Zealand politics is so deeply embedded with scum like the blogger Whale Oil. We need not be so surprised. It takes a certain type to support the growth in inequality in our society and champion the super rich as our natural leaders. This type is happy to prostitute their skills to serve the wealthy and rationalise their interests as being “our” interests or “society’s” interests. That is also why the tobacco lobbyists become National Party MP’s. Do high taxes encourage emigration? Question 26: One of arguments in favour of tax cuts on incomes is that they are needed to keep people in New Zealand. Do people migrate because of allegedly high tax rates in New Zealand? There is no evidence to support the claim that people leave New Zealand because of the allegedly higher tax rates. There is a logical fallacy in the government’s argument when most people come out only marginally ahead when other changes like increases to GST, ACC levies and other consumption taxes are included. The main reason people leave is because there is a large wage gap between New Zealand and Australia and that won’t be closed by fiddling with the tax rates. The Treasury estimates a further real wage decline over the next year of over 3% as a consequence of inflation outstripping wage growth. “And we have the evidence of migration rates to Australia post reducing the top tax rate from 66 cents in the dollar and also post increasing the top tax rate to 39 cents in 2000. “So in the five years following the massive cut in the top tax rate from 66 to 33 cents net migration was -21,500, -13,700, -16,800, -24,400, -1,200, +11,700. This is a loss of 65,900 people. “In the 5 years following an increase in the top tax rate from 33 cents to 39 cents, net migration was -9,100, -11,400, +28,100, +42,000, +25,700 and +9,300. This is a gain of 84,600 people. “But hang on, shouldn’t it be the other way around? I am not saying that people left or came here because the top tax rate was reduced or because the top tax rate went up. Do tax cuts for rich help growth? Question 25: The government claims that they need to reduce tax on the rich and companies to boost growth in the economy. What is the record in New Zealand and overseas? 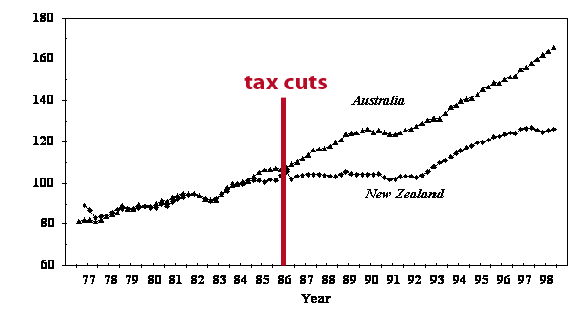 Unfortunately for the government the periods of highest growth in NZ and the USA were associated with higher not lower taxation. The Treasury estimates that the 2010 tax changes will produce a total increase in growth of 1% over 7 years! “(c) since they were deficit financed, the Bush tax cuts have also added a huge $379 billion bill in interest payments to their initial $2.11 trillion in revenue foregone. “Slemrod and Bakija(1) examine the relationship between the marginal income tax rate and productivity in the USA. They found that from 1950 to 2002, periods of strong productivity growth actually occurred when the top tax rates were the highest and, on average, high-tax countries were the most affluent countries. “Also in the USA, in a study looking at the effect of tax cuts in 2001, the Center on Budget and Policy Priorities noted that in 1993 the US increased the top marginal tax rate from 31% to 39.6%. But this did not damage growth. In fact the economy experienced its longest economic expansion in history during the 1990s. Real GDP grew by an average of 4% a year from 1993 through to 2000, almost 50% faster than the average from 1973 to 1993. “Despite major tax cuts in 2001, 2002, 2003, 2004, and 2006, the economy’s performance between 2001 and 2007 was far from stellar. Growth rates of GDP, investment, and other key economic indicators during the 2001-2007 expansion were below the average for other post-World War II economic expansions. “In New Zealand, the average annual growth rate in the five years before the 2000 increase in the top tax rate was 1.9% whereas in the five years after the increase in tax it was 3.52%. “Economic growth in the period after the major 1986 reductions in personal and company taxes was not impressive. Essentially it flat-lined. “In the 1984-92 period our average annual growth rate in real per capita GDP was 0.4% compared with 3.02% in Australia and even when the growth rate recovered from 1992 to 1998, the average annual rate was 3.3% compared with 4.24% in Australia. “The graph below essentially tells the story before and after the 1986 changes. It is as depicted by Paul Dalziel(2) using quarterly seasonally adjusted real Gross Domestic Product for Australia and New Zealand between 1977 and 1998, scaled so that the average value for the calendar year of 1984 equals 100. (1) Joel Slemrod and Jon Bakija (2008). Taxing Ourselves: A Citizen’s Guide to the Debate over Taxes, 4th edition. (2) Dalziel, Paul. 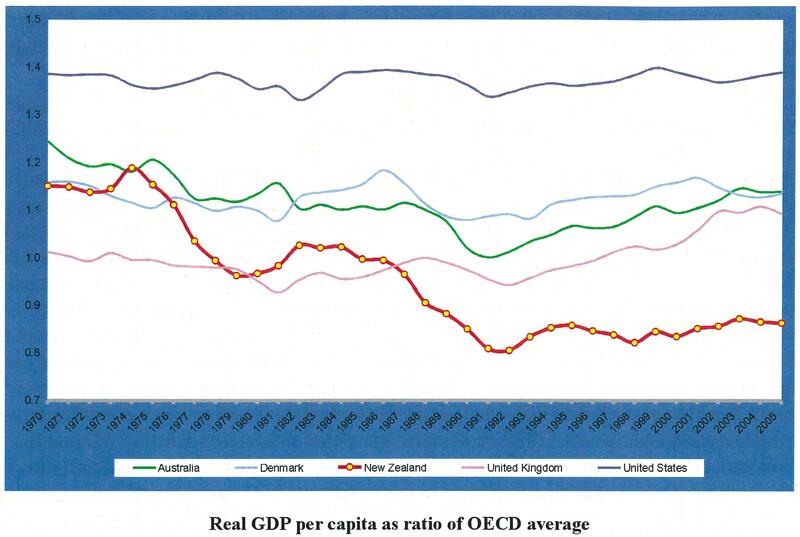 (2000) New Zealand’s Economic Reform Programme was a Failure, Department of Economics and Marketing Canterbury, New Zealand. Question 24: How does GST affect different income groups? GST – like all consumption taxes – is unequal in its impact. Because working people spend a higher proportion of their incomes they pay a higher percentage of their income on GST. 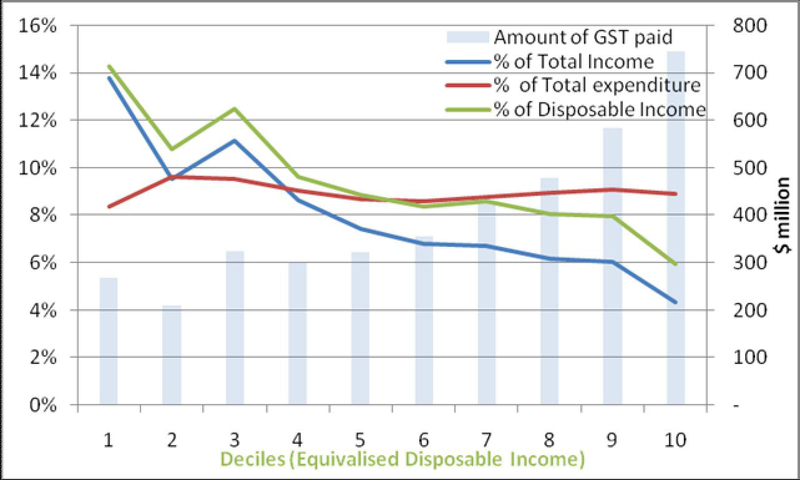 “Some more detail on how GST affects low and high income people: The graph below comes from research carried out for the Tax Working Group (“Changing the rate of GST: fiscal, efficiency and equity considerations”) It shows the proportion of both income and expenditure that is paid out in GST for each income group in the country. “The third, much more gently sloping, line (in red) shows the percentage of expenditure that is paid in GST. It is still higher for lower income households, and even if it was perfectly level across the income range doesn’t reflect ability to pay. It is much more painful for a low income household to go without $10 than it is for a high income household. Higher GST and tax cuts? Question 23: Among the solutions to the economic problems we have today are those tried last time – higher GST and cuts to the top marginal tax rate. What will be the effect today? The effect of these changes will be the same as last time – increased taxation on working people, less tax on the rich, and a growth in inequality and poverty. We are being told that reducing the top tax rates and increasing GST will again be beneficial to “the economy”. If it didn’t work last time why should we expect it to this time? Working people pay their taxes from their wages before they see it. They also pay GST, petrol taxes, user charges and the various “sin” taxes for liking alcohol or tobacco. All these taxes (whatever the alleged benefits on our health or the environment) are grossly unfair as they take a much larger proportion of our incomes than the rich. We never have a choice. The bosses however treat taxation as some sort of voluntary activity. They look on the government as some charity to which they may donate if they feel motivated. They don’t like taxes and as often as not avoid paying them. Question 22: The liberalisation of financial markets in the 1980s was also meant to make the raising of capital for business easier and cheaper. What was the result? The raising of capital was made easier and cheaper – but the small investors who handed over their life savings to the new financial speculators were wiped out twice – in 1987 and again in 2006. The first round of liberalisation resulted in a financial boom and collapse in the period 1984-87. This saw tens of thousands of small investors lose their life savings. Financial companies were exposed as little more than Ponzi schemes using new borrowings to repay old debt and claming false profits. Amazingly nothing was done to regulate this market until we had the experience repeated with the wave of financial company collapses that began in 2006. This has led to billions of dollars being wiped out in value. Again small savers who invested their life savings with the best and brightest of the financial world have been wiped out. The fund owners and managers have been largely protected with few prosecutions and their own fortunes protected behind the ubiquitous family trusts. Investors were presented with positive financial accounts, consistent with our accounting standards, which encouraged them to invest in finance companies that were only able to repay investors if they attracted new borrowings when borrowers defaulted. The Companies Office, Securities Commission, accounting profession and independent directors were asleep at the wheel as many investors lost a major percentage of their life savings. Owners of these finance companies, particularly Mark Hotchin and Eric Watson, are still issuing woefully inadequate investment statements and prospectuses as they continue to borrow money from the public. Why are these businessmen still able to raise money from the public without fully disclosing their involvement in failed companies? Ponzi schemes are an investment proposition whereby the promoters announce unrealistic returns and repay loans, or interest on these loans, from contributions made by new investors. Many of our property-related finance companies involved interest on loans being capitalised and this interest was only received by the finance company when loan principals were repaid. Take, for example, a finance company with $500 million of interest capitalised loans to property developers and $500 million of debenture borrowings from the public at an average interest rate of 8.5 per cent a year. This finance company has to pay annual interest of $42.5 million on these debentures yet it may receive no interest on its property development loans unless they are repaid, which is often not the case. Thus, in this simple example, the finance company would have an annual cash deficit of $42.5 million and interest on debentures, plus any redemptions, could only be paid out of funds contributed by new investors. This large cash deficit was concealed by accounting policies that allowed companies to accrue, or take into account, interest over the duration of a loan rather than when interest was paid. Thus finance companies would show that they had received interest when they hadn’t and reported a profit even though they had a substantial cash deficit from operating activities. To make matters worse, dividends were then declared out of these non-cash profits and paid out of newly acquired debenture funds. Thus the interest on debentures, the repayment of debentures and the dividends paid to the owners of these finance companies were all sourced from new debenture money. This result, while unintended, has the same effect as a Ponzi scheme, and Ponzi schemes are quickly shut down by most competent regulators around the world. In addition, it appears that a number of owners of finance companies sold properties to developers at vastly inflated prices and these purchases were 100 per cent funded by a finance company owned by the vendors. In other words, investors in property-related finance companies were like lambs to the slaughter. They didn’t have a chance, particularly when the property development market collapsed and most developers couldn’t repay their loans or the capitalised interest on these loans. The Listener reported April 3 that “According to a tally kept by business journalist Bernard Hickey….48 finance companies with a total of $6 billion in investor funds have failed since the first, National Finance, went under in May 2006. Judging by the estimated returns from receiverships and moratoria, he estimates $3 billion of that money will never be recovered by investors. 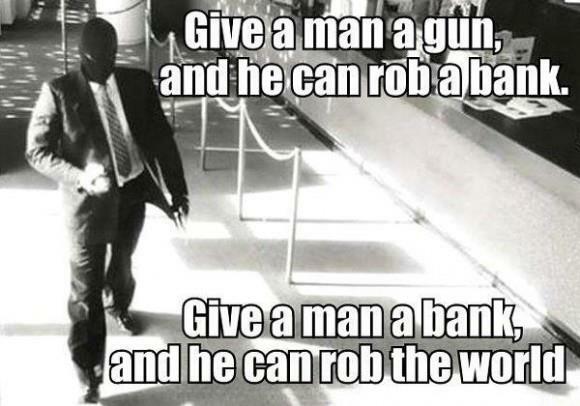 It reminds me of the joke “the best way to rob a bank is to own one”. Except in this case the people robbed were small investors and their life savings – often retired with no way of recovering from the disaster. Question 21: One of the other claims made by the right wing economists in the 1980s was that New Zealand needed the type of neoliberal reforms they advocated because the economy was performing poorly and deeply in debt. How have the changes made affected New Zealand’s economic position internationally? The changes have actually left the economy more deeply in debt than ever before. The only change is that the overseas debt is “private” rather than held by the government under a controlled currency and exchange rate system. But in the end working people will be paying the bill. The end result is that New Zealand now has a much larger overseas debt and servicing costs than existed before the economic “reforms”. The economy has also suffered from the decimation of manufacturing and other productive sectors to be replaced by low wage service jobs. We are up to our chins in debt to the rest of the world and this, the International Monetary Fund warns, remains a key area of vulnerability for the economy. 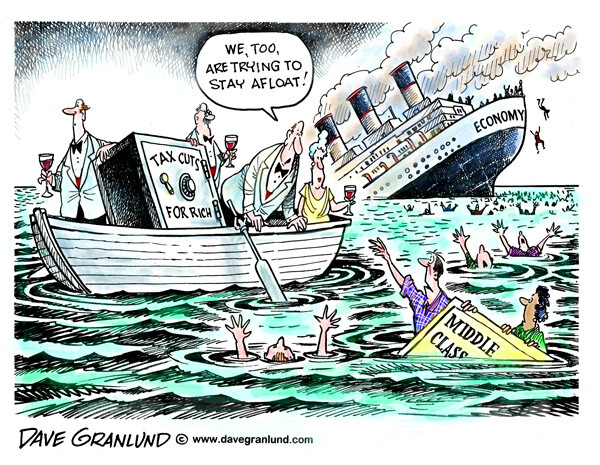 Net foreign liabilities at the end of 2009 were $167 billion, equivalent to 90 per cent of the economy’s output last year. The increase in the external debt mirrors a big increase in household debt – a legacy of the last boom. Whether a wariness of debt will be an enduring legacy of the recession that followed remains to be seen. Right now, at least, households are decidedly debt-averse and businesses even more so. Reserve Bank data out on Tuesday showed business sector debt in February was nearly 8 per cent lower than a year earlier. Households, which find it harder to shed debt than businesses do, had increased their debt levels by just 2.7 per cent over the year ended February, and the annual increase has been no higher than that at any stage in the past year. Consumer debt is down 4 per cent on a year ago. All this is despite the fact that interest rates are at cyclical lows. ANZ says the effective mortgage rate – the average rate people are paying on their home loans – is 6.7 per cent, down from 8.8 per cent at the peak in September 2008. Floating mortgage rates are around 5.85 per cent, compared with an average 8.2 per cent since 1999. BNZ estimates debt servicing costs are running below 10 per cent of household disposable income, from a high of nearly 14 per cent two years ago. (If this looks low, remember most households have either paid off the mortgage or are renting). Enjoy it while it lasts. The Reserve Bank expects to start raising the official cash rate “around the middle of the year”. It does not expect it will have to push it as high in this cycle as it did in the last one – an eye-watering 8.25 per cent. But the reasons for that carry little joy for borrowers. One is that wholesale interest rates now incorporate a much wider risk margin than in the lax years before the crisis. This is expected to persist. It means a higher cost of funds for the banks, and higher lending rates for borrowers, for any given level of the OCR. The other factor is that the wholesale yield curve is positive again – that is, longer-term interest rates are higher than short-term ones. As deputy governor Grant Spencer put it last week, “borrowers have nowhere to hide”. Borrowers have piled into floating rates or short-term fixed ones, so a higher OCR will bite harder and sooner. By contrast, during the boom borrowers could effectively dodge, or at least delay, the impact of ever-higher official cash rates by taking cheaper longer-term fixed-rate mortgages. This imparted what Governor Alan Bollard called a “sponginess” to the monetary policy brakes to the extent that he had to just about stand on the brake pedal for years, with serious spillover effects on the productive sectors of the economy, before it had the desired impact in the mortgage belt. A key factor in avoiding another destructive housing boom, of the kind which seems to be emerging across the Tasman, is whether people’s expectations of house-price inflation (or capital gains as we prefer to think of it) come down. They ought to. It is fantasy to imagine double-digit annual rises in house prices can be sustained indefinitely when the incomes out of which mortgages and rents are paid increase much more slowly than that. The effective real interest rates that apply in the housing market are nominal mortgage rates deflated not by the consumers price index but by expected house-price inflation. The higher the latter is, the more attractive any given nominal mortgage rate is. So more realistic expectations of house-price rises should mean monetary policy does not have to work as hard, and less pressure on the cost of capital for businesses. Right now sentiment in the housing market is on the grim side. Having more people out of work than at any time in the past 16 years does not help, but perhaps the bigger factor is nervousness and uncertainty about tax change in next month’s Budget. The changes are expected to reduce both the incentive for people to shelter taxable income in rental property investments and the ease with which they can do so. How much and for how long that weighs on house prices generally remains to be seen. Meanwhile, business borrowing is likely to recover with the economy. After contracting for five straight quarters, business investment in plant and machinery rose in the December 2009 quarter with imports of capital goods. They need to. Much of the productivity and income gap with Australia is explained by capital shallowness – significantly lower levels of physical capital employed per worker. What then of the third component of national savings, the Government? Next month’s Budget might paint a slightly rosier picture, but the half-year fiscal update delivered last December projected another six years of fiscal deficits, pushing the Government’s net debt from just 6 per cent of GDP in 2008 to 30 per cent in 2016 before it starts trending town again. On its own that is not a scary number. Net debt was that high as recently as 1998 and 30 per cent is downright modest compared with where many advanced economies’ governments are heading. But it cannot be looked at in isolation and when set alongside the parlous state of the external accounts it does not present a reassuring picture. Net external debt of 90 per cent of GDP is conspicuously high by international standards. We have got away with it so far in part because almost all of it is private-sector obligations, much of it held by the banks and backed by vanilla mortgages. But with the Government having switched from saving to debt accumulation, and with household savings rates still negative, the increase in Crown debt will have to be funded by foreign savers. Competition for their funds will be fierce, from larger governments with bigger deficits to finance and higher credit ratings, and increasingly from corporate borrowers as the world recovery gathers momentum. Bond yields are bound to rise and the combination of mounting debt and higher interest rates will pre-empt a growing share of future tax revenues. The current account deficit is a measure of the extent to which national savings fall short of funding investment spending within the economy. For 2009 it was $5.5 billion or 2.9 per cent of GDP, or 3.8 per cent if you ignore the impact of Australian-owned banks losing a tax case. That could well be as small as it gets. The IMF expects it to be back at 8 per cent of GDP by 2015, heaping ever more debt on the mountainous – nay, alpine – pile already there.